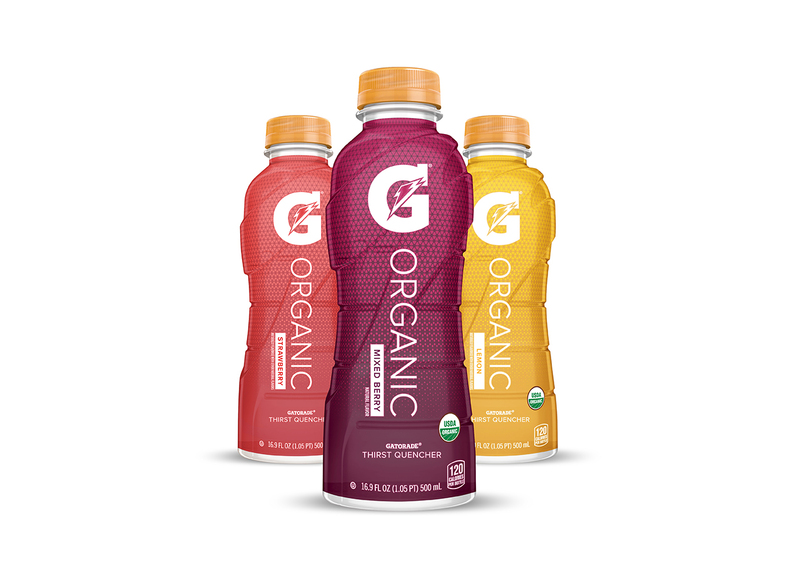 This sports drink powerhouse recently announced the launch of its newest product line, Gatorade Organic, marking the brand’s premiere into the organic and natural foods market. So why is the OG of sports drinks going Organic? Well because organic is trending of course! Athletes, entertainers and other major social influencers have been endorsing natural, healthy and organic options left and right, increasing our curiosity and influencing our decisions to become more health conscious consumers. Let’s be real, if Teyana Taylor (#BodyGoals) posted an Instagram pic drinking a bottle of G Organic, the shelves would be cleared in no time! Although Gatorade stands strong, holding 70% of the market share of sports drinks, they have been keeping close tabs on the buzz around organic options as well. In the past year, organic food sales have increased by 11%. Organic juices and drinks have been growing the fastest of all organic subcategories, at 33.5% in 2015. In comparison to competitors such as coconut water, Gatorade Organic is still the ‘unhealthy’ choice. Coconut water has 45 calories and 11 grams of sugar, while G Organic has 120 calories and 20 grams of sugar. So was Gatorade’s decision to invest in G Organic a smart one?…Or is ‘Organic’ is just another label Gatorade can put on their products. Many people are skeptical about the illustration Gatorade is creating of providing a healthier product. Yes, they are providing a product with better ingredients, but does this evolution qualify G Organic as a ‘better’ choice? It’s up to us to decide as consumers! G Organic is scheduled to hit select grocery stores in the Fall of 2016.